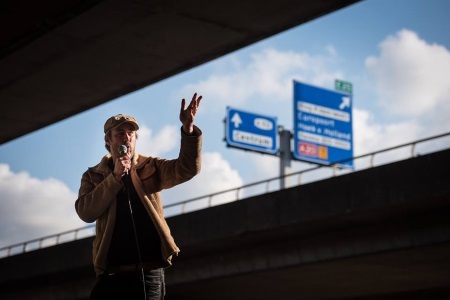 Dutch folk singer broeder Dieleman is releasing Kleinpolderplein, a multimedia album (music, photos and poem) about a busy traffic junction in Rotterdam. Dieleman performed the piece at the Motel Mozaique Festival, after being invited to put together a a landscape project. Kleinpolderplein is released on Snowstar Records. The edition is handnumbered (limited ot 100 copies) and handmade by broeder Dieleman, and includes one of his photographs.